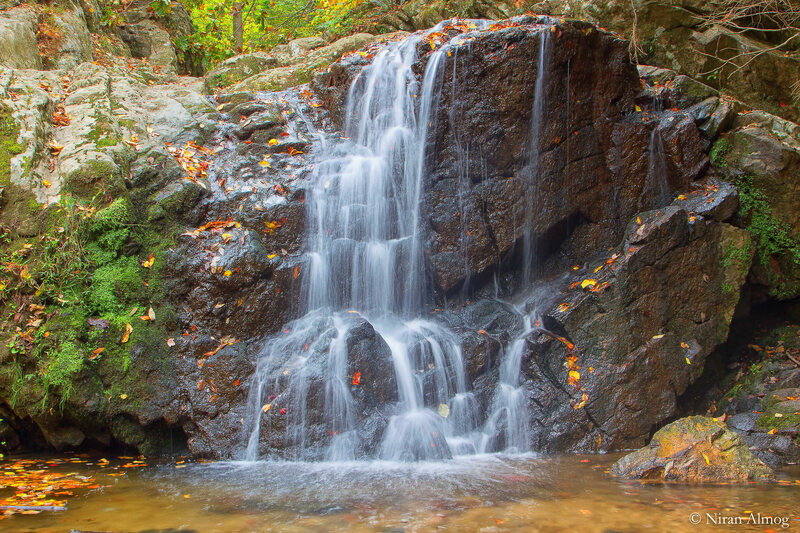 Directions: Cascade Falls is located inside Patapsco State Park. The address to get to the park is: 6199 River Road Elkridge, MD 21075 When you get to the park there is an entrance fee which I believe is $3/person. The trail for Cascade Falls is located pretty far inside the park, so don't be alarmed when your driving for 3-5 minutes after passing the park entrance. You want to turn left at the split and then proceed on the road until you hit the sings for Cascade Falls. Again, its going to be a drive of several minutes upon getting past the Park gate. After you park, the trail entrance soon splits into right or left. Both ways get you to the Falls, but if you go left you will get to the Falls within 5 minutes by foot. This is a piece of nature so you can bring whatever you want (multiple cameras, tripods, etc.). There are multiple vantage points of the falls, which can be seen by climbing in/on/around rocks, trees, etc. The Falls are beautiful any time of year, however Autumn and snow on the ground prove to be the most picturesque. Did you not read the “directions” in the post?